Lectures listed below can be scheduled for your quilting or non-quilting groups. Lectures are commonly 45 minutes to 1 hour long but may be modified to meet the needs of your group. Good or bad, I do not like slide presentations so all my lectures include lots of real quilts and quilt tops. Travel expenses and lecture fee are required. Contact me for additional information at dotcollins@gt.rr.com . Lecture fees are currently $200 each if you schedule a workshop along with the lecture. Lectures without a workshop is $250. This change was made in early 2010 so if you booked a lecture only before that time, the fee of $200 will apply. Travel fee is based on actual travel cost (flights) or current IRS mileage travel allowance (driving range). Meals and rooms are to be provided by the hosting organization unless otherwise arranged. You can do anything in plaids and stripes! I have over 30 quilts and quilt tops which demonstrate that any type of quilt can be done effectively using plaid and striped fabrics, alone or combined with other fabrics. Also, quilts made with today’s reproduction fabrics to give you the charm of yesterday’s quilts have been added. The collection for this lecture is ever changing. Why Colors work together and a fail-proof method to choose colors to make your quilt one that you love! I bring examples of quilts and quilt tops that prove the theories work. A trunk show of "Stack and Whack" quilts - a few made from the books written by Bethany Reynolds and many others where the techniques were utilized in other designs. 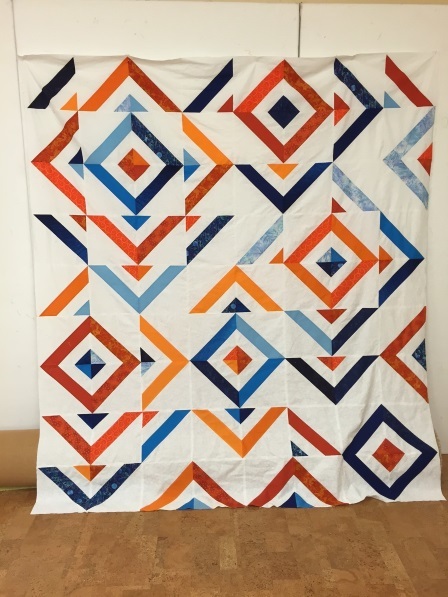 After making one or two, you may want to “stretch” and add your own creativity to make your own unique quilts by combining S&W technique blocks with traditional blocks or using other arrangements and sizes of the “Stack and Whack” blocks. I have many samples of quilts made with this technique – both from the book and modified creatively. 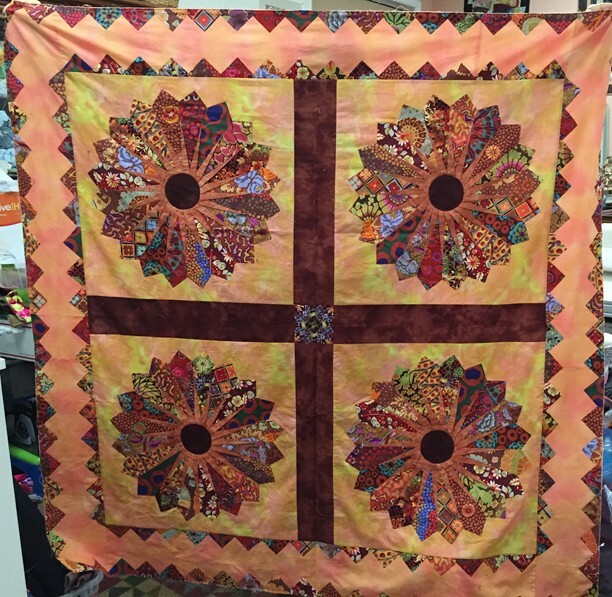 Lecture includes suggestions and samples for creating unusual borders for your quilt tops. Many of my quilts have been created with unique borders, most are simple to construct and incorporate techniques and blocks utilized in the quilt. The most "sought -after" border is my curved border which I am working up into a class or workshop to be available in the future. I will have many samples of quilts that resulted from my approach to unusual borders to fuel your own creativity. Trunk show of 30 or so quilts and the stories that go with them. Quilts of all sizes and styles will be included – can share as much about the making them as the group desires. This lecture is suitable for non-quilting groups as well as quilting groups.